Using Botox to Get Rid of Frown Lines - We've tested out the muscle-relaxing injection to find out all the fuss is about. The notorious anti-wrinkle treatment has been so badly done by Nicole Kidman in the United States. critics for her wooden performance). So, is there ever an appropriate way of using it? According to Dr. Jag Chana from the Spire Health Care Clinic, the use of Botox on specific problems can be seen in the field of aging. However, we just did not want to take a look at it, so we tried it out to begin with a frown line on our 39-year-old volunteer. It's quick and painless. An initial consultation to establish the best treatment for your needs is followed by the treatment. An analgesic cream is rubbed into your forehead and left to develop for a quarter an hour. Once the skin is numb, about six to eight injections are administered to the muscles - in this case, the muscles cause a frown line between the eyebrows. The prick of the needle feels a lot like a vaccination and there is a couple of seconds of mild discomfort in the cold liquid enters the dermis. Skin looks irritated and red for a couple of hours. Botox doesn’t take effect immediately. For the first 24-48 hours, you are advised not to take exercise or rub the treated area to ensure that the Botox settles in the right place. Some reduction in muscle movement will be obvious after day two or three. After a week the muscle-relaxing effects should have reached their optimum level – effects last for about four months. I’ve heard you can get Botox shots at high street beauty salons for just £50. Is this safe? 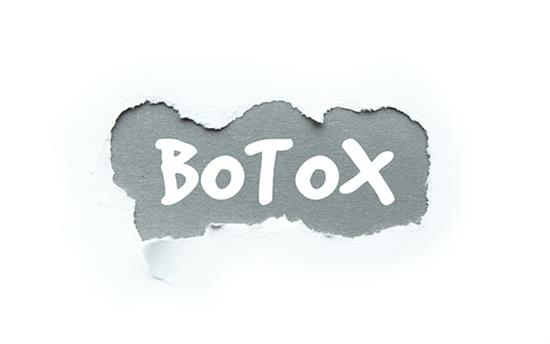 You can find Botox being offered at high street beauty clinics for £50 a shot, but it’s worth paying a bit more to visit a qualified cosmetic surgeon who is trained in all forms of cosmetic surgery and therefore can advise on the best form of treatment to achieve your requirements – it might turn out that a muscle-relaxing injection may not be suitable for your needs. Once you start delving into the complexities of muscle groups and how they act in tandem, you can see how easily inexpert use of it can lead to surprised or cross expressions. With effects lasting about four months, it’s best to choose a trained cosmetic surgeon with a good knowledge of sub-dermal muscle structures. They’ll also offer superior aftercare if anything goes wrong. ‘Yes, and it didn’t freeze the muscles completely. The movement was reduced by about 90% leaving a much smoother area between the brows yet with a remnant of muscle ability resulting in very natural look. 'It helped that my skin is still relatively young so there is little contrast between smooth and lined areas of the forehead. This is the most heavily wrinkled skin.